Last year's champion Lindsay Webster attempts the final obstacle of the 2017 Spartan Race World Championship. Webster returns to Squaw this weekend to defend her title. 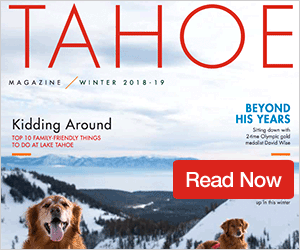 Nearly 10,000 athletes from across the globe will lay siege to Squaw Valley Alpine Meadows this weekend in a battle for more than $125,000 in cash prizes and the title of World Champion. The seventh annual Spartan World Championship will return to Squaw on Saturday, marking the fourth year the resort has hosted the event. Beginning Saturday morning, athletes will test themselves on 12 miles of terrain at around 9,000 feet above sea level, competing across more than 30 obstacles like bucket and sandbag carries, an alpine swim, and spear throws. Last year’s winners Lindsay Webster, who won this year’s North American Regional Championship out of Canada, and Cody Moat, of Fillmore, Utah, will return to defend their titles against a slew of battle-tested athletes, who come to Squaw after qualifying for the championship at events across the world. This year’s champions will receive a $20,000 prize, and will have a chance to cash in on Spartan’s newest challenge. 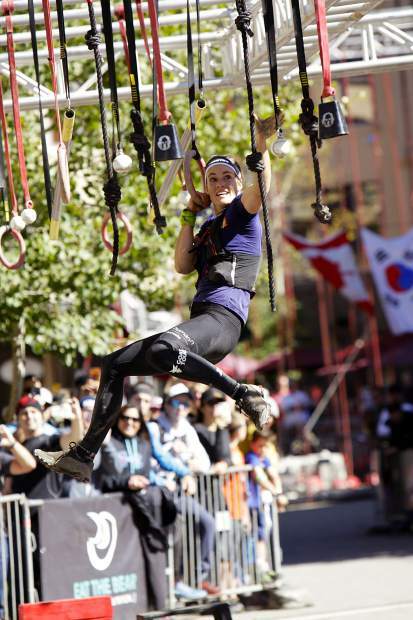 The obstacle course race and endurance brand will award $1 million if this weekend’s champions can replicate their performance with first-place finishes later this year at the Spartan Trifecta World Championship in Sparta, Greece, and at the 24-hour Ultra World Championship in Iceland. On Sunday, the Team World Championships will take place with teams of three competing for more than $10,000 in cash prizes. In addition to the elite competitors and teams, the event will offer a chance for athletes of all ages and skill levels to hit the course. There will be open heats on Saturday, featuring more than 12 miles of course with roughly 35 obstacles, and on Sunday, there will be open heats on a course with more than 60 obstacles spanning 30 miles. Children can also sign up for youth age group racing either day. This year’s festivities will also feature a competition between three elite athletes, who will enter shipping containers and run 24 hours on treadmills in total darkness and silence. The Locked and Loaded 24 Hours challenge will support mental health, veterans, and first responders. 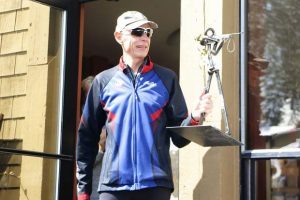 Retired United States Marine Maj. Brian Chontosh, three-times Ironman, John Witzing, and one of Canada’s top personal trainers, Josh Chessman, will compete to see who can run the farthest during the 24-hour challenge. The championship weekend is free to the public and will include live music, panel discussions, raffles, spectator challenges, vendor tents, and more. The race will stream live on Facebook Watch via the Spartan Race LIVE Page — and will be broadcast on ESPN at a later date.